A new Sonic game is on the horizon, and with it comes a great opportunity for cooperative play. 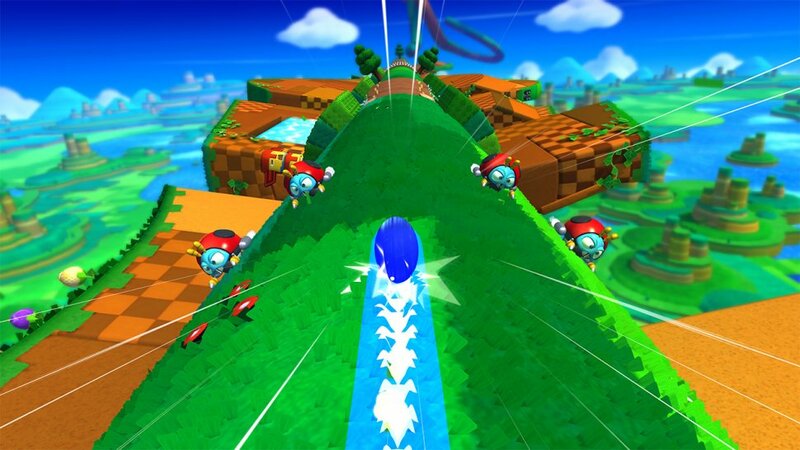 Sonic: Lost World is slated for release on the 3DS and the WIi U on an undetermined date. In a recent interview with Nintendo World Report, Producer Takashi iizuka confirmed that the games will contain different multiplayer modes between the two platforms. The Wii U version will be receiving both cooperative and versus multiplayer modes. For the cooperative portion of the game, one player will be controlling Sonic using the Wii U gamepad while a partner will be supporting Sonic with the Wii remote. In versus mode, one player will be using the TV to race while the other uses the Gamepad. This means there will be no splitscreen play, however the co-op is indeed local. In fact, there will be no online play on the Wii U, as the developer wants to focus on a "couch" experience. On the other hand, the race mode found on the 3DS version of the game will be online, with up to four players via WiFi and internet. As it was not specifically stated, we are unsure of whether the cooperative play on the 3DS will be local or online. Beyond that, the two versions of the game will play very differently. According to Iizuka, the story and theme of both games are the same, however the level design will be completely different. He states that "there's not a single level in the Wii U and the 3DS that overlap and appear in both games." Stay tuned for more information as it becomes available. Page created in 1.8368 seconds.